As a small business, the drive to better know and understand your audience has become very important. Why? Because everyone is trying to build customer awareness, brand recognition, and consumer loyalty. Marketing talk of the town is about user experience – which makes getting to know them critical to your businesses success. Everyone is yelling from a mountain top, but success isn’t determined by who’s making the most noise or has the biggest budgets. It’s more about knowing who you’re talking to and where you should be directing the message. A whisper can go a long way if it’s done correctly. That, in a nutshell, is the big idea behind customer segmentation. Marketing is an intentional practice. Gone are the days where you could get away with pushing out an ad (or Facebook post) or two and cross your fingers. Instead, small businesses need to devote the time to planning out a marketing strategy that’s based on the specific needs of their customers. 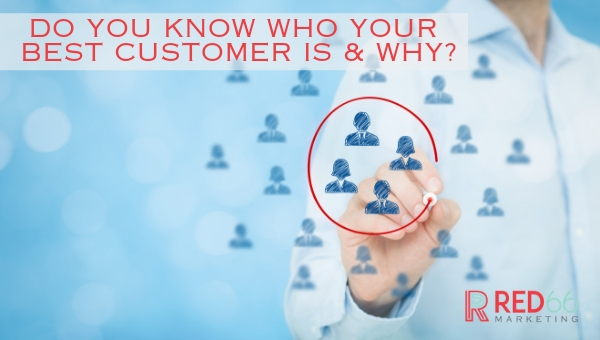 And to do that well, you have to understand who your customers are. Customer segmentation is the practice of dividing a customer base into groups of individuals that are similar in specific ways relevant to marketing, such as age, gender, interests and spending habits. It’s is one of the most important building blocks of your business model canvas and integral to a successful marketing plan. This applies to both business to business B2B and business to consumer B2C customers. Identify their gains and pains. In other words, what’s the common pain point that many are looking to remedy by using your product or service? What do they gain by doing so? How do they search online and what do they search for? Hint: your customer service and sales teams can be a goldmine for this information! Rank these data points in order of importance and then start using the information to your benefit. You can’t be everywhere at once, especially online. If you try to participate in every conversation on every social platform with every kind of audience, you’re going to spread yourself too thin and dilute your message, mission, and brand. Instead, do your homework, figure out where your ideal audience is online, and focus your efforts there. Know that it is okay to focus on one social channel or one type of communication first, and build from there. Create a marketing plan based on the data, be consistent and follow through. Don’t take the time to establish a solid plan, only to let it fall to the wayside. Once you have a strong plan in place, be sure to continually test and measure the results, tweaking the approach along the way. Review your website analytics, email and social media insights monthly. This will show you what’s working – and what isn’t – informing your decision-making with real data. Remember, when it comes to marketing, popular platforms don’t matter. It’s where your audience is that matters! Research your audience, establish a plan, follow through, measure what works, and then repeat it. We love this stuff, and all of the different tools, analytics and aspects available to us today to help our clients. If you’d like to learn to improve your customer segmentation and overall marketing plan, get in touch with us! We love digging into the data and can help you formulate a customer specific marketing plan from the ground up. Contact us today to learn more.